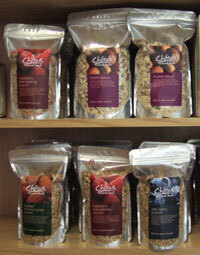 Start your day with a healthy breakfast from Chiltern Natural Foods, High Wycombe, Bucks. Either a tasty granola or a bowl of muesli, or porridge all free from preservatives, artificial colourings and additives. 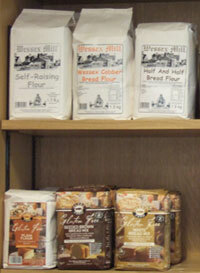 We stock organic and gluten free flours and cake mixes from Glebe Farm, Huntingdon, Cambs plus baking and bread flours from Wessexmill Flours, Wantage Oxfordshire. Fancy a coffee or tea, then why not stop and have a drink with us. Freshly ground coffee served your favourite way, plus tea and hot chocolate. On our shelves we stock Union Coffee and Mr Scruffs tea. Larger bags of coffee beans are also available – just ask. 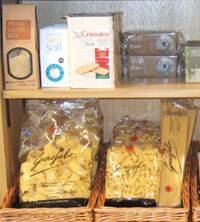 We also stock a selection of pasta, stuffings and other store cupboard essentials. 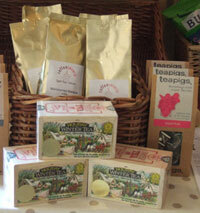 We are constantly on the look out for new products from small producers in our area, so watch out for new products.